Kelsey Grammer is an American television and movie actor who is probably best known for his role as psychiatrist Dr. Frasier Crane in the NBC television sitcoms Cheers and Frasier. He has won a number of Primetime Emmy Awards, Golden Globe Awards and American Comedy Awards. More recently he has won a Golden Raspberry Award for Worst Supporting Actor in 2014. 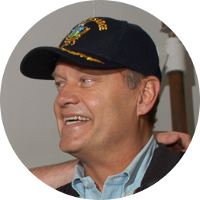 Kelsey Grammer has kinship to a few U.S. Presidents including Martin Van Buren, Richard Nixon, and Gerald Ford. A couple of other world leaders in his family tree are British Prime Minister Sir Winston Churchill and Canadian Prime Ministers Pierre and Justin Trudeau. First Lady Hilary Clinton is also a cousin through their shared French Canadian ancestors. Kelsey Grammer has a number of fellow celebrities in his family tree including actress Hilary Swank, and actors Christopher Lloyd and James Dean. Other notable kin for Kelsey Grammer include historian Nathaniel Philbrick, Columbian Exposition serial killer Dr. H. H. Holmes, western author Louis L'Amour, Berkshire Hathaway's Warren Buffett, and poet Robert Frost. Please note: The ancestor reports on this website have been compiled from thousands of different sources, many over 100 years old. These sources are attached to each ancestor so that you can personally judge their reliability. As with any good genealogical research, if you discover a link to your own family tree, consider it a starting point for further research. It is always preferable to locate primary records where possible. FamousKin.com cannot and does not guarantee the accuracy and reliability of these sources.